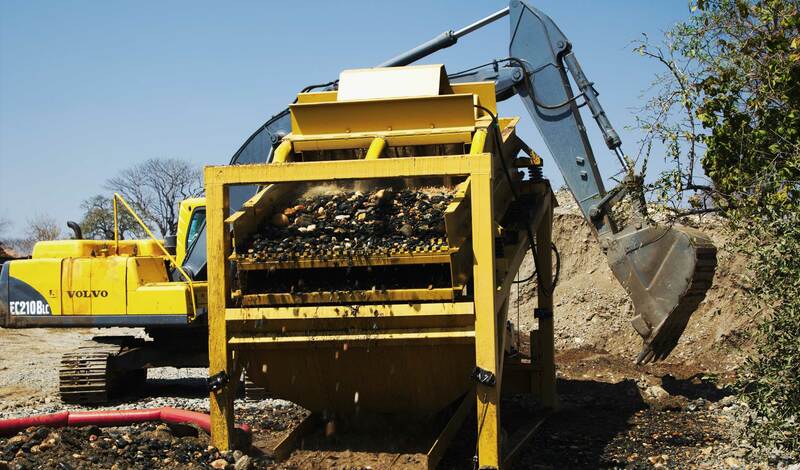 Making gold wash plant and processing easy with our custom, no set-up mining equipment. 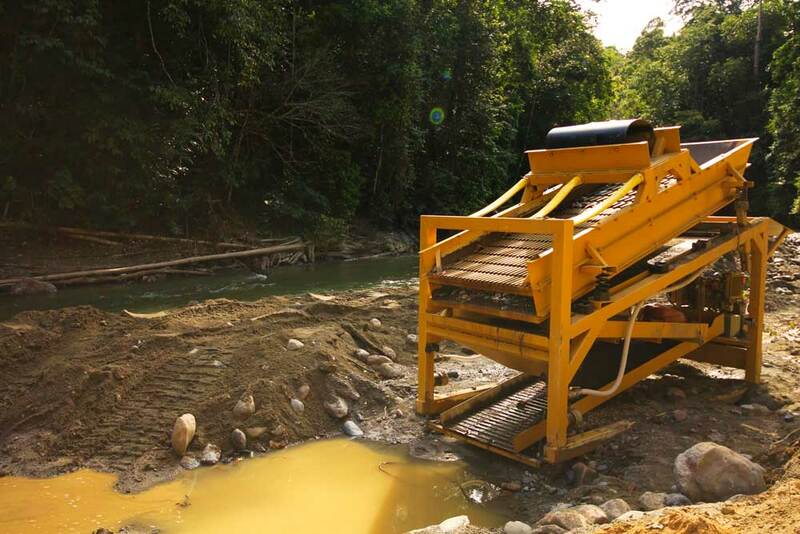 Next, the screen deck further classifies the material, and sub-.25” (6.35 mm) material drops into the sluice boxes, remaining sub-1” material passes through the nugget trap into the final riffle set for capture, and larger rocks get discarded. 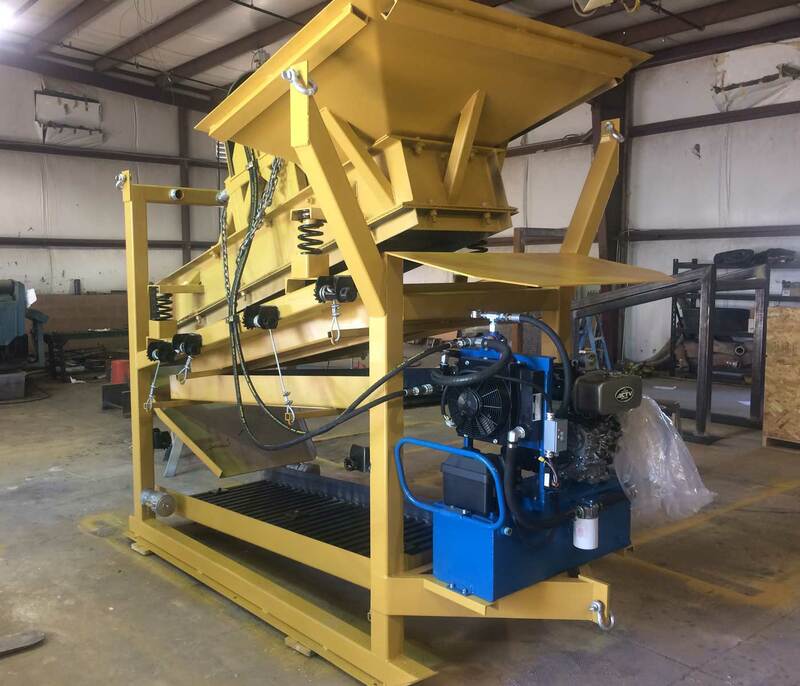 The sluicing system has three boxes that are independently adjustable, and with anywhere from 20 feet of sluice box on our 50-ton units to 40 feet of wider boxes on the 200-ton units, gold recovery is excellent. It often exceeds 95%, even with fine gold down to 200 mesh! What’s the key to such remarkable recovery? Science. Our design was based on the performance data found in a landmark technical report on sluice boxes and riffle systems. Watch the video of our M50 wash plant..
Each wash plant requires a water supply to run. Please consult our sales department to find the right water pump for your operation. Production time on all machines is between 1 to 3 weeks from the time deposit is received depending on backlog. Let's talk gold wash plants. 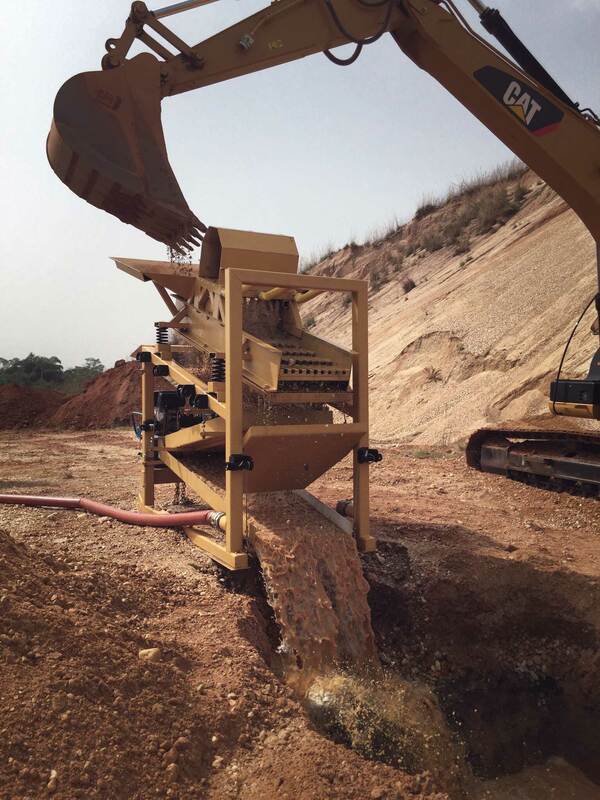 We would love to chat about your mining plans and see of our gold wash plants can help make your project successful.